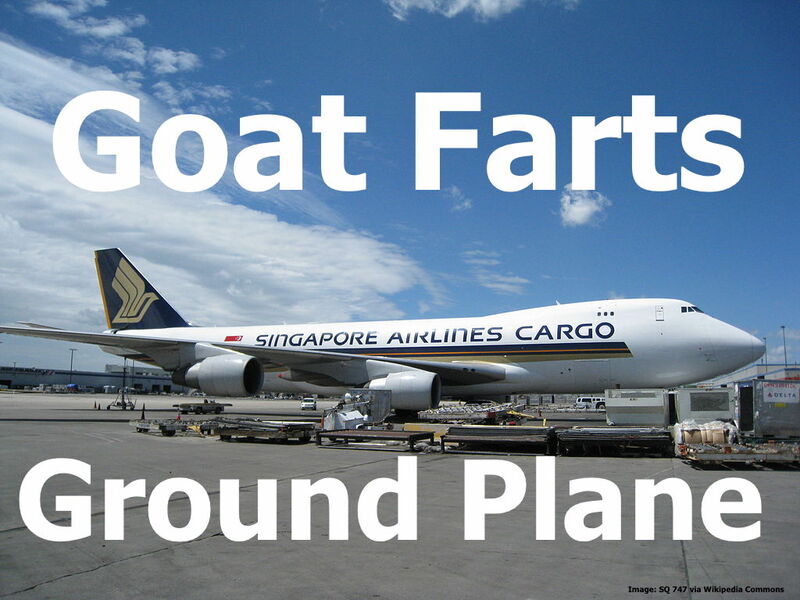 A planeload of goats, en route from Australia to Kuala Lumpur, made a brief visits to Bali Island when their combined ‘exhaust fumes’ triggered a fire alarm on board the Singapore Airlines 747 Cargo Plane. Eventually the goats could not escape their fate and the plane made it with a delay to KL. This story might be one of the things that you don’t hear every day but it also shows what kind of interesting cargo is being transported all over the globe. I became aware of it while reading articles on The Daily Mail (access here) which is usually a good source for gossip of all sorts. I didn’t expect this though. An aeroplane was forced to make an emergency landing after the gas of 2,186 animals was mistaken for smoke in the cargo hold. The Singapore Airlines Boeing 747-400 freighter plane, which was en-route from Adelaide, Australia to Kuala Lumpur in Malaysia, was diverted to Bali Denpasar on October 26 following the urgent announcement. Upon landing, emergency services boarded the aircraft – which was carrying four crew members and the flock of goats- however reported that there was no trace of fire, heat, or smoke. 2,186 Animals. Wow! Can you imagine how that plane must smell after they are loaded in there for 10 hours? A Singapore Airlines Boeing 747-400 freighter, registration 9V-SFI performing flight SQ-7108 from Sydney,NS (Australia) to Kuala Lumpur (Malaysia) with 4 crew and a cargo of 2,186 sheep, was enroute at FL320 about 400nm south of Denpasar (Indonesia) when the crew received a smoke indication in a cargo bay, descended the aircraft to FL250 and diverted to Bali Denpasar for a safe landing about 45 minutes later. Emergency services did not find any trace of fire, heat or smoke. The smoke indication was identified to be the result of exhaust gasses and manure produced by the sheep. The aircraft was able to depart again after about 2.5 hours on the ground in Denpasar and reached Kuala Lumpur about 2.5 hours later. I guess we can see this as a last ditch, combined effort of the goats to somehow escape their fate of becoming someones meal. It didn’t help them though. This reminds me on an article I read on the site of the U.S. Environmental Protection Agency (EPA) a while back (access it here). It is about the emissions of livestock which is a controversial topic among scientists. As far as this particular incident is concerned, nothing major happened but I thought it’s a funny thing to share with you all this Wednesday! Previous articleWhine Wednesdays: SPG Chat Response Time Close To An Hour?